iPresort » Happy New Year! Until I moved to Texas, I never ate black-eyed peas. Now I eat them once a year on New Years Day. The idea is that if the very first thing you eat on New Years Day is black-eyed peas, you'll have good fortune that year. 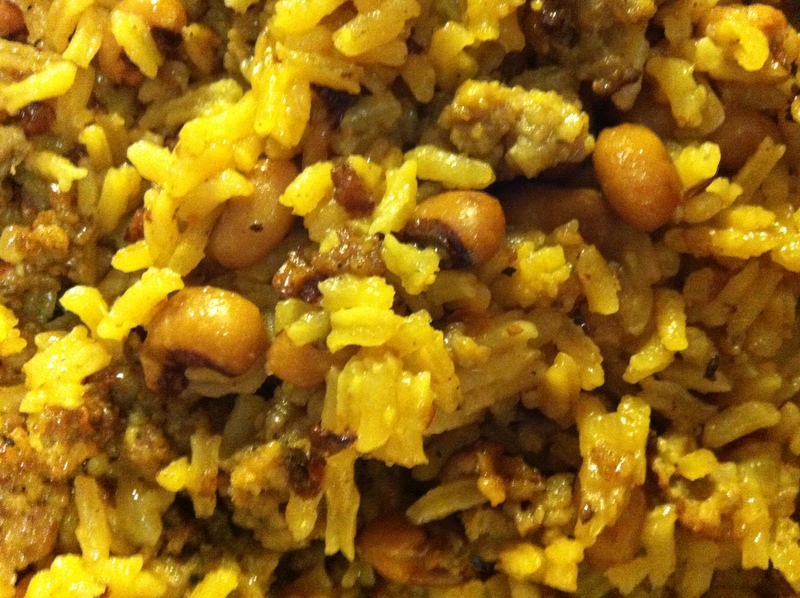 I thought maybe some of you would like my Skillet Hoppin' John recipe for next year. Open black-eyed peas, rinse and leave to drain. Brown sausage in skillet over medium heat. While sausage is browning, chop onion & mince garlic. Once sausage is browned move it to the sides of the pan in a ring and put 2 Tbs butter in center. Cook onion and garlic in butter til translucent. Stir together with sausage. Mix in all other ingredients and simmer for 20 mins on low heat. Try not to open and stir or it becomes gummy. Makes enough for about 8 servings. I usually serve it with scrambled eggs and cornbread as part of a New Years Day brunch. I hope you like it. I actually found the recipe (years ago) in Woman's Day magazine. The original recipe called for 2 cans of black-eyed peas and no sausage. I decided to substitute the Jimmy Dean for one of the cans of black-eyed peas. If you try it, let me know how you like it? If you modify it, I'd love to hear about that, too. Happy New Year!